Sure, the movie is dated in both technique and appearance. But it does have the great Paul Robeson in the central role as a dockworker and social equal of his white work mates. 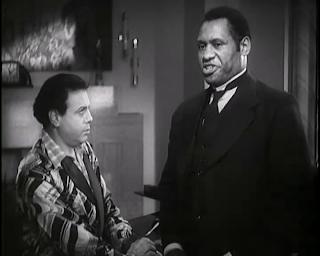 This is at a time when Blacks in American movies were reduced to either menials or buffoons. 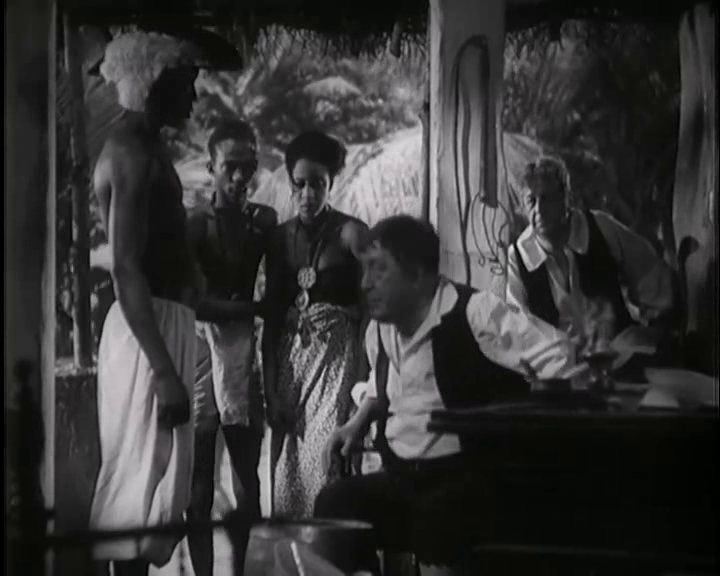 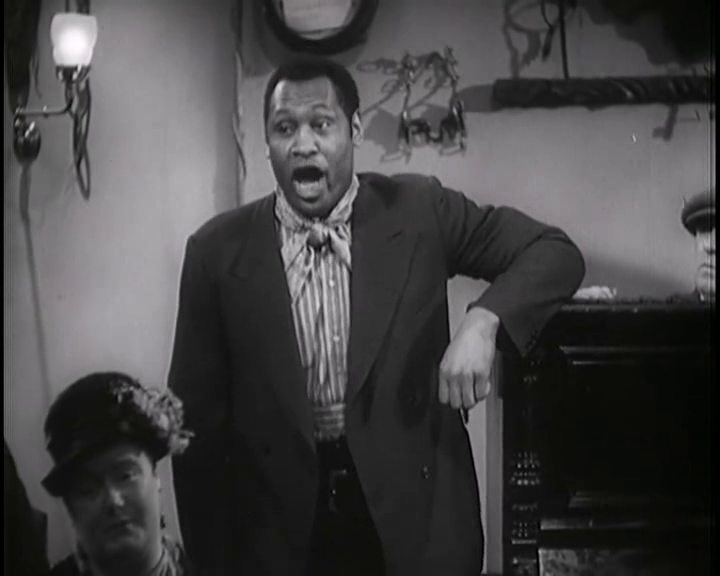 In terms of stereotypes, Robeson's non-demeaning role takes some getting used to. But try imagining that powerful presence and commanding voice in anything other than a dignified role. 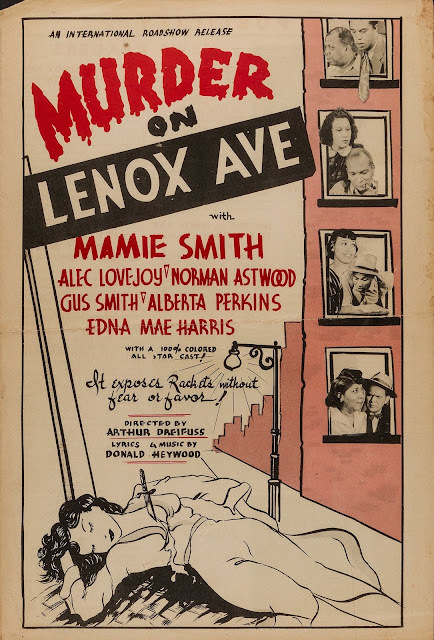 No wonder he was widely viewed as a threat to Jim Crow stereotypes. 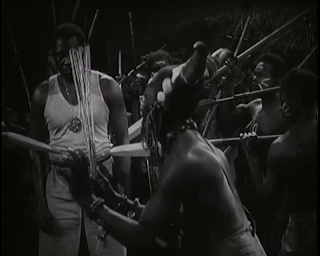 Perhaps the film's most interesting aspect is what the Westernized Robeson can do for his benighted tribe of ancestors once he returns to them, uninvited. 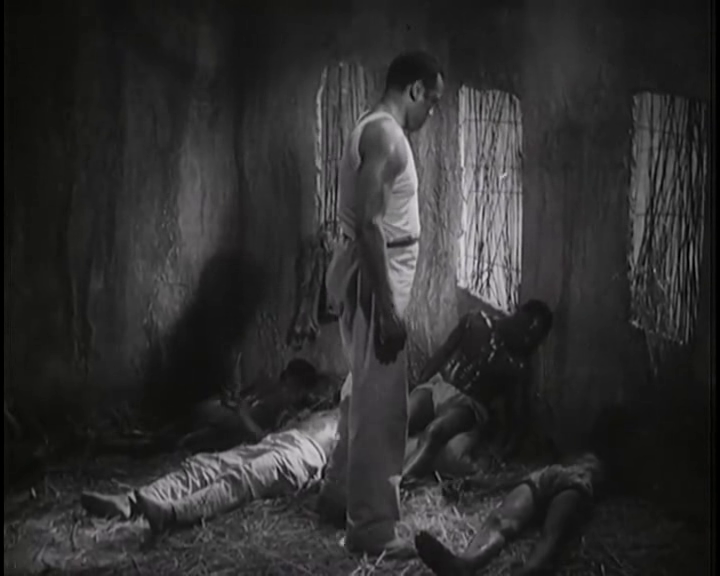 Sure, he can bring those sanitation and medical advances that will improve their collective health. The movie does a pretty good job of dramatizing that aspect, and we're all rooting for him to win out over the tribe's non-scientific methods and the witch- doctor power structure keeping them in place. 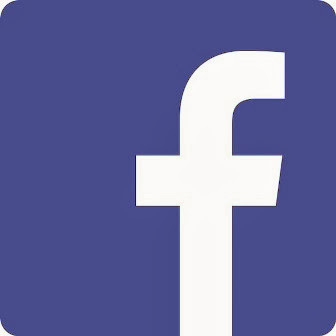 But what happens after that. 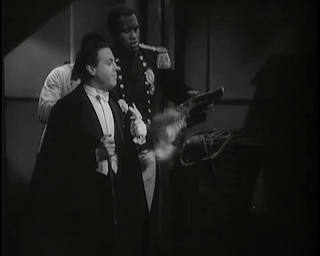 Of course, the movie stops at that point, so we don't know. 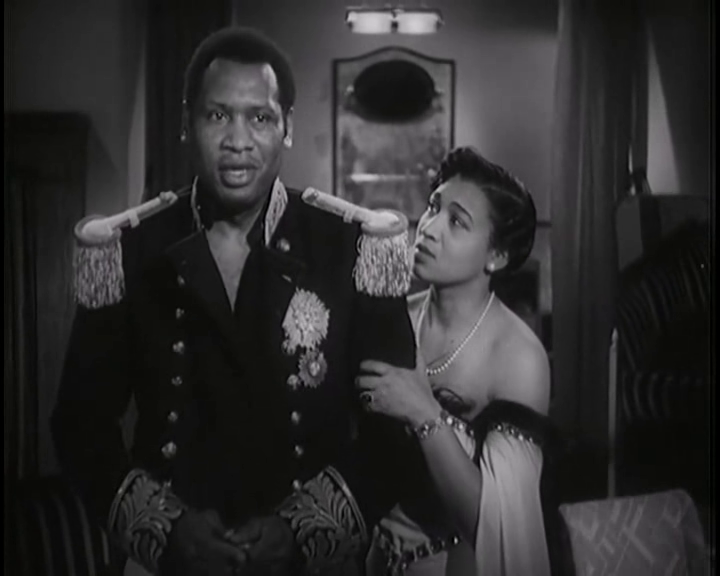 But we do know another area of the continent has been opened to Western presence. 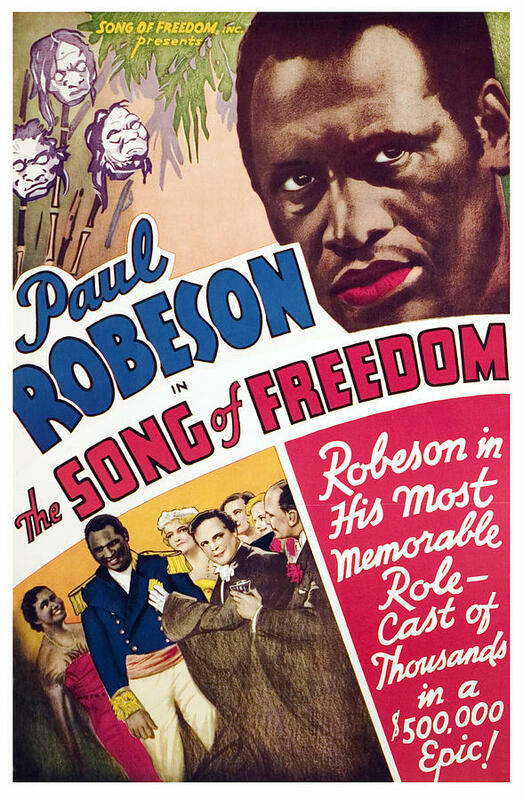 The question then is whether Robeson will also bring in Western commercial interests, of much more dubious benefit than the proved health benefits, as history shows. After all, penicillin is one thing, Chevron is another. 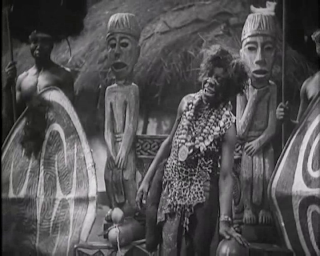 This remains a point to ponder now that the movie has set up the initial stage. 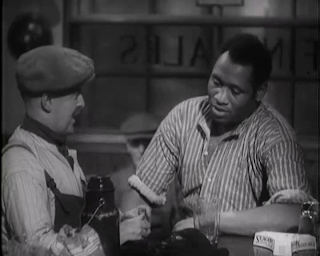 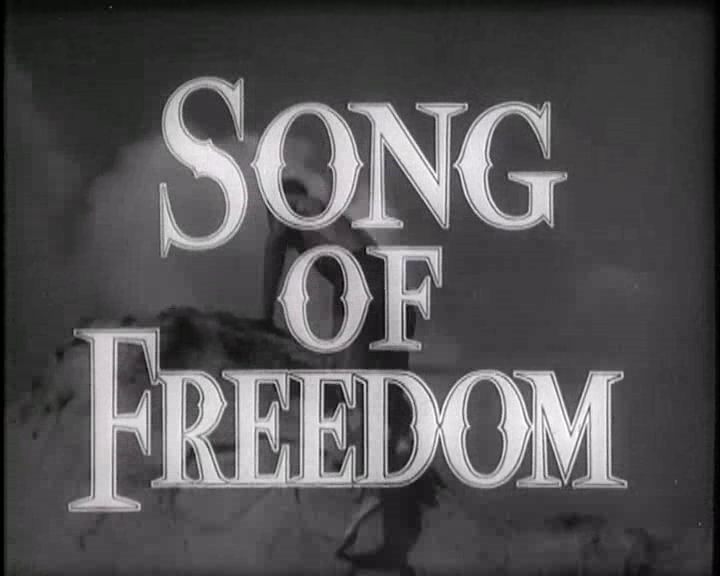 Despite its shortcomings (the outrageously fey Donizetti, for one), the movie remains an interesting artifact of its time, especially for Robeson's and other Blacks' acceptance into the white working class of London's docks. I'm sure the leftist Robeson found that labor- solidarity aspect particularly appealing. 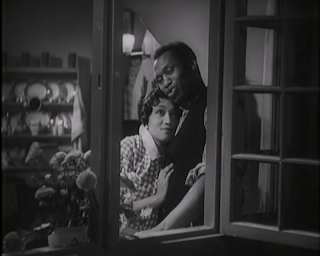 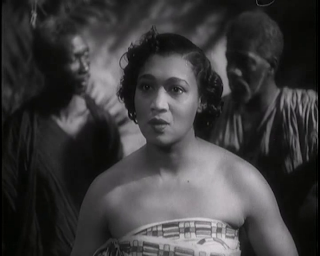 Then too, Elisabeth Welch delivers a fine natural performance as Robeson's loyal wife. We root for the two of them just as we would root for a courageous white couple. 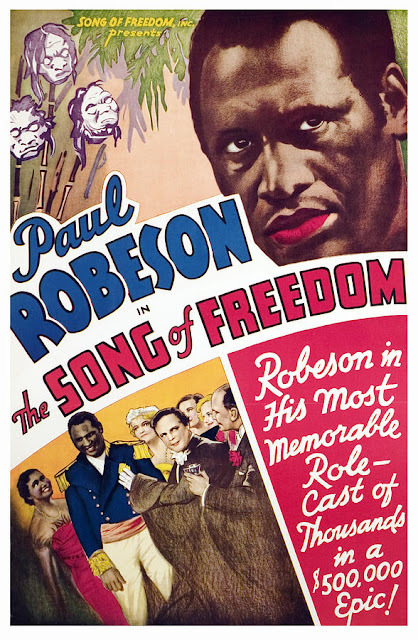 Above all, however, the film remains a chance to view one of America's noblest forgotten figures—the great Paul Robeson.